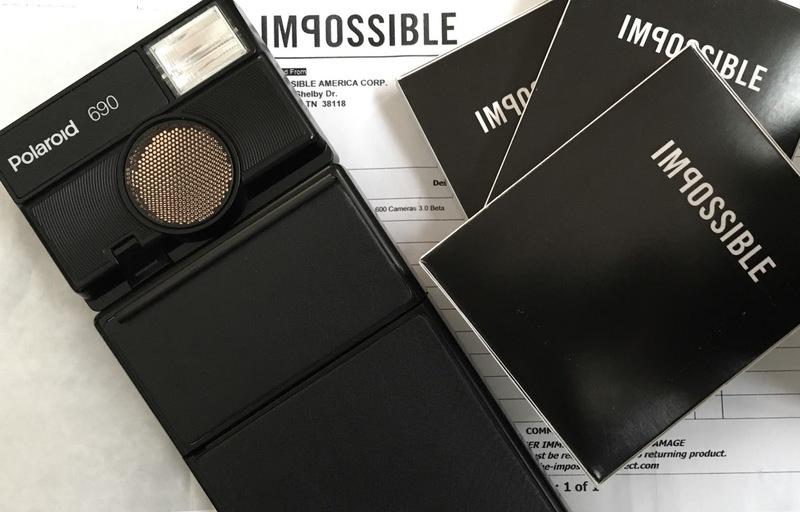 When I ordered a 3-pack of the 600 Impossible Gen 3.0 color instant film, I was hoping to be able to test it during my trip to Orlando. I was really excited to get a chance to see the new emulsion at work for the first time. I shot 3 packs of this film early March and was very happy with my results. I thought it might be helpful to share with some of you, planning to use this film in near future, my notes and experience. 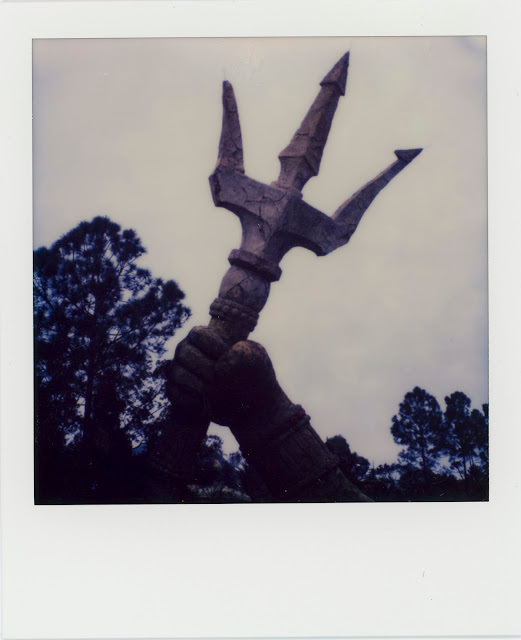 I used my trusty SLR 690 for all shots, and had a bunch of keepers this time. I was more focused on checking out the color reproductions as I was shooting in subdued late afternoon light, mostly overcast with no harsh sunlight whatsoever. 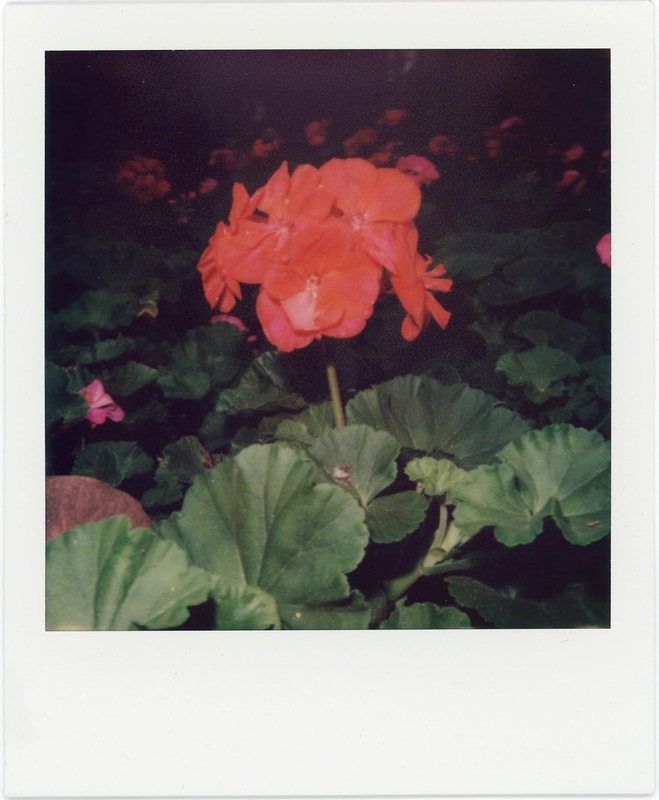 The SLR 690's built in flash was used and no color corrections were done on any of the photos below. 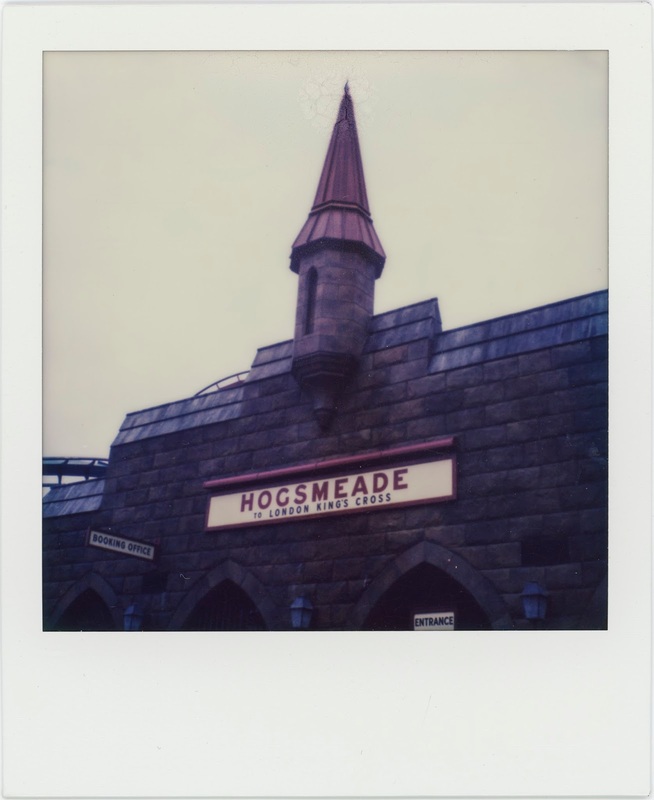 All photos were taken at Universal Studios Orlando in and around the Wizarding World of Harry Potter. I used my highly scientific workflow - shoot and immediately transfer the photos to my inner jacket pocket and keep warm and shoot and keep adding to the stack. I did not even look at the photos till after about 20mins. 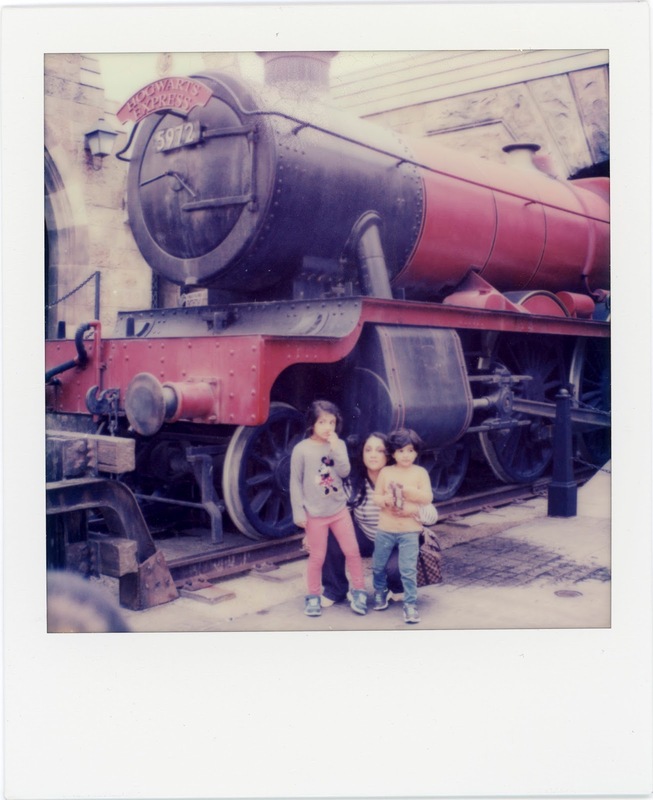 All the following photos were scanned on the Epson V850pro. Basic scan, no post apart from crop. As you can see above, the film retains decent shadow detail even though I shot this pretty late in the afternoon. The sky was overcast and I wanted a backlit shot. Not too shabby for a non manual camera. The thing that stood out was this - usually you will see the best colors when the scene is well lit. E.g. the above where there was a mix of of natural diffused light and some artificial lighting. I typically shoot handheld and use some support wherever possible, to make sure I get crisp shots. Here above I just used my friends shoulder to rest my hand while we wandered towards our ride. 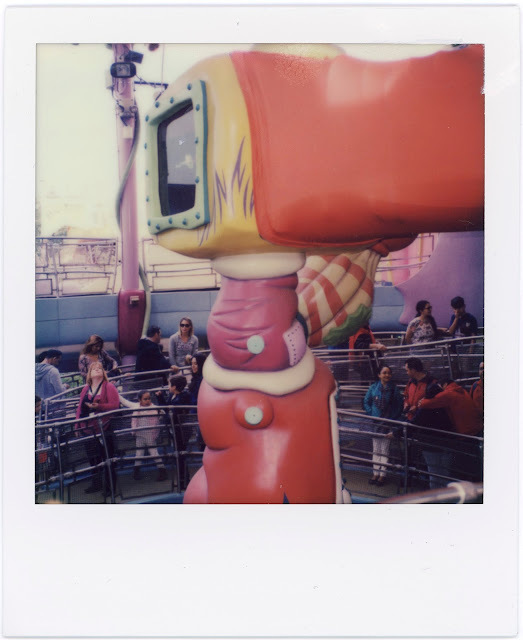 As seen above, I saw the film do really well in colorful situations with diffused light. As you probably know, there is not much of time and space available at Universal to shoot, with a ton of foot traffic all around you. Some of my shots are run and gun and hence they might not be perfect candidates to pass judgement on the Gen3.0 film. My take after shooting the first pack - Overall a lot of improvement in terms of color rendition and time it took for images to show. As the light faded even more, I saw the Gen 3.0 film kinda give this amazing movie-esque faded look which I really loved. Whenever I was able to get good support and time to frame the shot, I was able to see very sharp results, not a factor of the film, but definitely important to remember to get the best out of 8 exposures per pack. Also critical to a good development is transfer to a jacket/pant pocket to provide warmth for even dev. Another photo that was backlit and I shot it almost walking. I love the moody look to the photo. 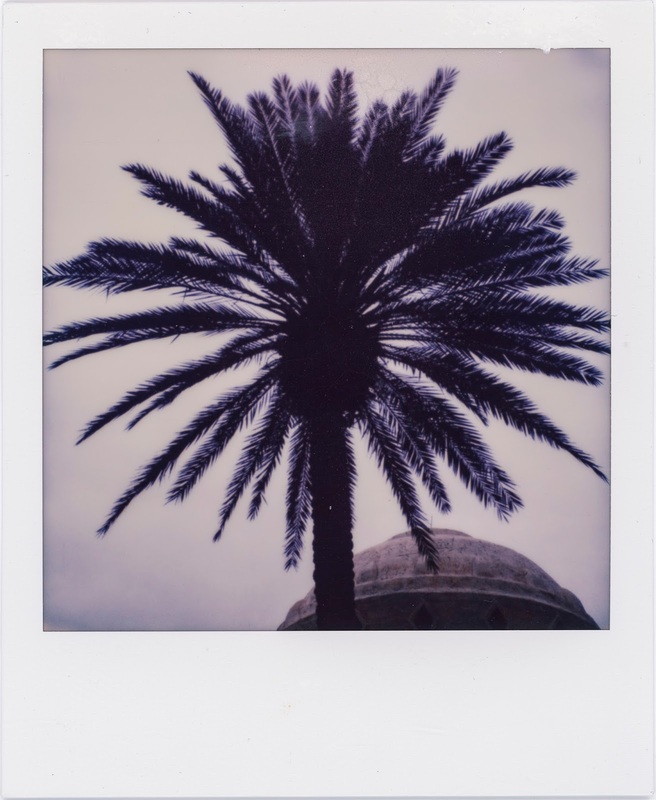 The end results in terms of color of the background sky are very faded, and I took a few more and the results were different each time, pretty much what you should expect from an experimental polaroid emulsion. Yet the unpredictability added to the film's charm. This photo, above, i specifically picked to show the muted colors - almost monochromatic in the way they come out when you shoot overcast with backlit subjects. I love the contrasty look I got for some of the images. I saw the rare for us midwesterners - flowers, in early march, and wanted to shoot just to see how the colors would look like. It was almost dark and the only light was the flash. I was pretty happy with how the film handled color. I would have loved to have shot this a wee bit earlier as well, with a little more natural light, so as to compare a flash vs mixed scenario. I hope to try that with a pack sometime soon. I have a lot more photos but I think this set is a good sample of what my overall experience was with Impossible Gen 3.0 color 600. (1) Colorful scenes are honestly reproduced provided you have enough light and you let the film develop in the warmth of you inner pocket. (2) Overcast + backlit subjects will be very monochromatic - something I was very happy with and would love to shoot more of. (3) I blew through eight exposures x 3 packs fairly quickly. It took me almost a pack to experiment with available light and my composition. So do your experiments before you show up at your favorite location and do research on your lighting conditions - will save you $$$. Till the next time, keep shooting instant!